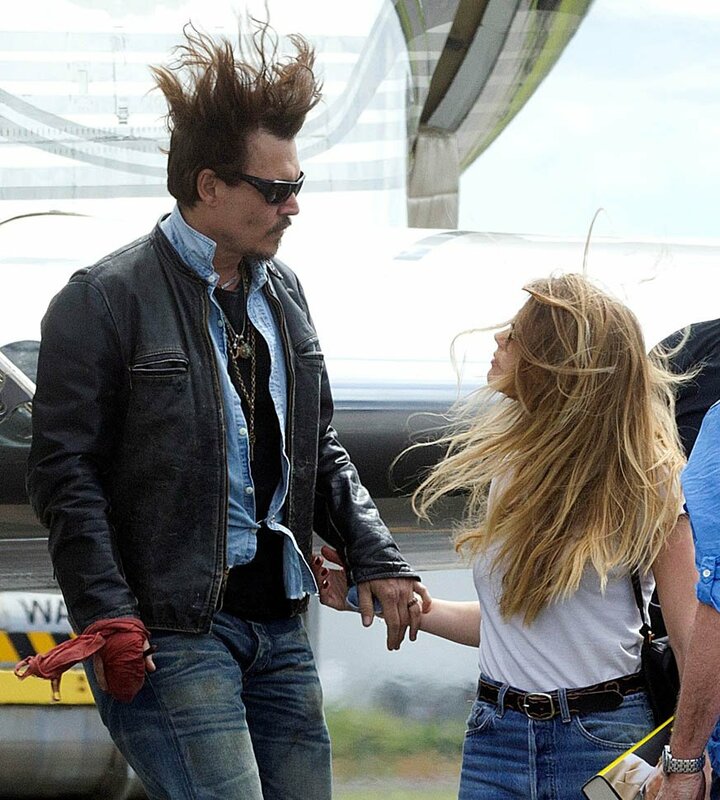 After all kinds of speculation about where he’s been the last month (click here for my post from yesterday), Johnny Depp returned to Australia today on a private jet with Amber Heard. Photographers were there to document the arrival, which was more like a show. He’s waving to his public. They’re holding hands. She has a big smile on her face. All of this was nothing but rumour, total bullsh-t.
Or did someone shout down the phone at Johnny to get his sh-t together? Disney is spending a lot of money on Pirates 5. But he’s too much of a lone wolf “individual” to answer to the big corporation, isn’t he? Oh please. He’s as much of a company man as Robert Downey Jr. It’s just that RDJ doesn’t pretend he’s not when he actually is.